The Traxxas iD™ battery system is the easiest and safest way to charge your Traxxas batteries. 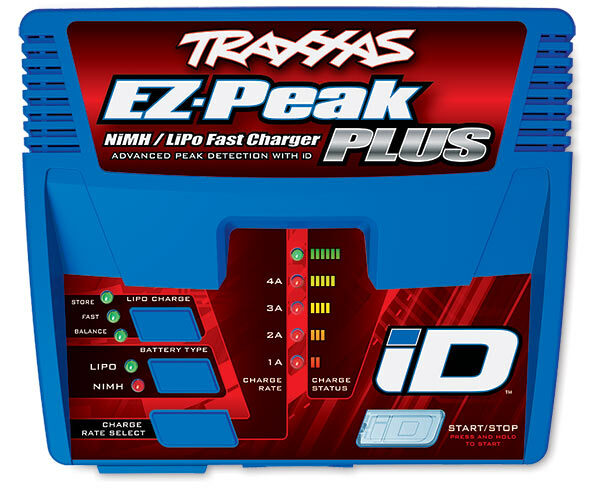 The EZ-Peak Plus recognizes Traxxas iD batteries and in an instant automatically configures and optimizes the charger settings. There's no need to be a battery expert or learn how to navigate complex menus. 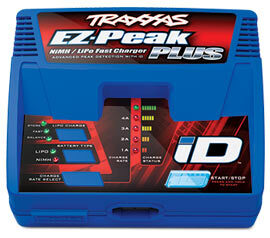 Just plug in a Traxxas iD battery and EZ-Peak Plus does all the work for you. 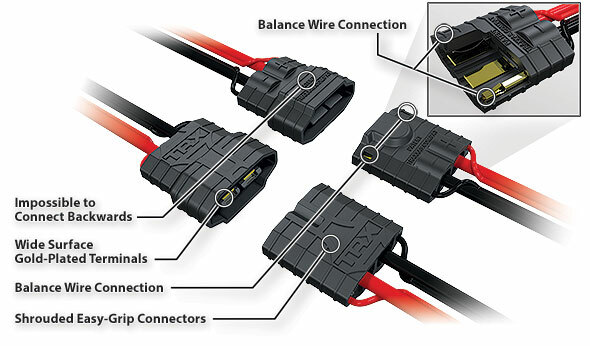 The integrated balance connector on Traxxas LiPo iD batteries eliminates fragile balance wires and connectors, along with the need for external balance boards. At the press of a button, the EZ-Peak Plus' Storage Mode protects your LiPo battery investment by safely preparing the batteries for extended storage. 4-amp fast charging and advanced high-resolution peak detection deliver a perfect charge every time. The EZ-Peak Plus is backed by the for years of reliable service. 1, 2, 3... Easy Steps! MODEL 2970: EZ-Peak Plus 4-amp NiMH/LiPo Fast Charger with iD™ Auto Battery Identification.